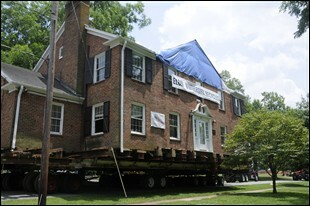 More than a year ago the historic Holland House on Elon University’s campus was moved a half a mile across campus and over the railroad tracks, which run through the campus. The house is now currently located on South Campus near Johnston Hall and Holt Chapel. The Holland House was built in 1963 and was the home to two Elon University presidents. On June 13 and 14, 2009 the house was moved to make room for a plaza to be constructed at the front of the Academic Village area. The plaza is now called Phi Beta Kappa Commons and is home to College Coffee every Tuesday morning. A photo of the Holland House as it was moved across the railroad tracks in 2009. Photo courtesy of The Pendulum. The Holland House served as the formal residence of Elon’s presidents from 1963 to 1990. It was the home for two presidents, J. Earl Danieley who was president from 1957 to 1973 and J. Fred Young who served from 1973 to 1999. The house was named for former trustee Shirley T. Holland. 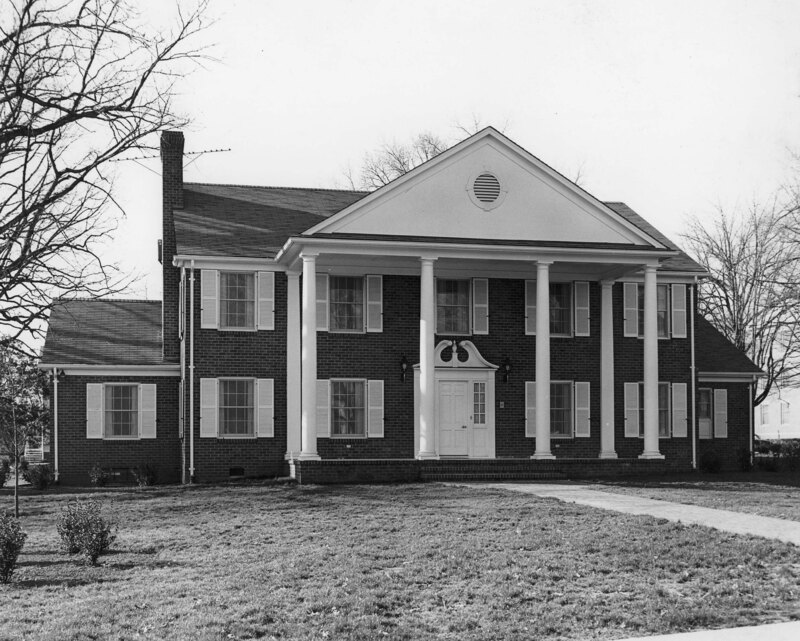 The official residence of the President was moved to its current location near the Alamance Country Club in 1990 and is now referred to as the Maynard House. The Holland House is now the Catholic Newman Center, which is the sixth facility supported by the Catholic Diocese of Raleigh, N.C. This entry was posted in Campus buildings and tagged Elon University, Holland House. Bookmark the permalink.